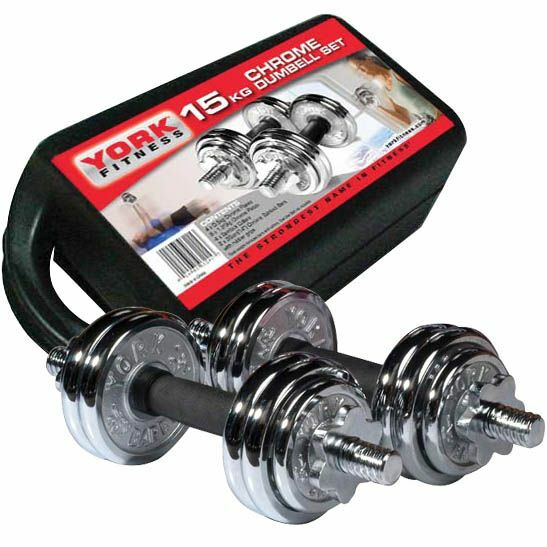 York 15Kg Chrome Dumbbell comes with a carry case. The 15kg weight adjustable dumbells from York are fully adjustable and come in a plastic carry case with handle to make it easy to transport and storage. The York 15kg Chrome Dumbbell set contains a full colour exercise wall chart to get you started straight away. Total Weight includes bars and collars. for submitting product review about York 15Kg Chrome Dumbbell With Carry Case.